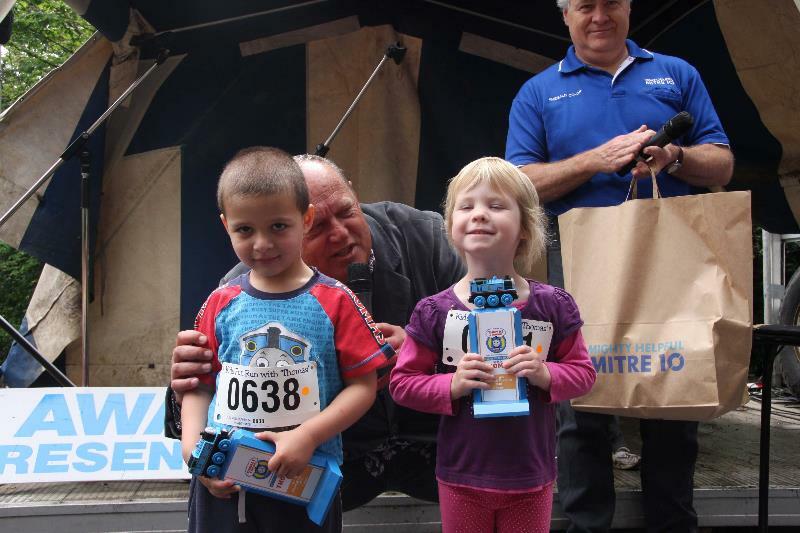 What a brilliant day we had on Sunday 25thNovember at the Kids Fun Run with Thomas. 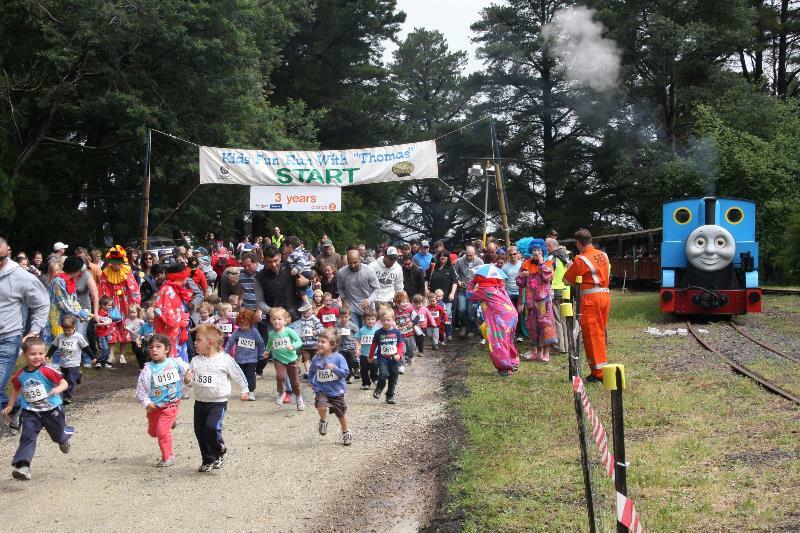 We saw almost 550 little runners enjoy their run against Thomas The Tank Engine and we are pleased to say that Kids Fun Run with Thomas 2018 raised an amazing $46,000. We are delighted to have raised so much and it will all be donated to the Monash Children's Hospital's Cancer Centre to support the appointment of a Research Fellow. We had some little superstar fundraisers but know every single fundraiser made a difference not just now but in the future. The staff from the hospital said this is a gift that will keep giving as a Research Fellow will make a lifetime contribution to helping children with cancer not only at Monash, but through collaborations across Australia and around the world. The Rotary Club of Emerald and District would like to acknowledge and thank our major partners. 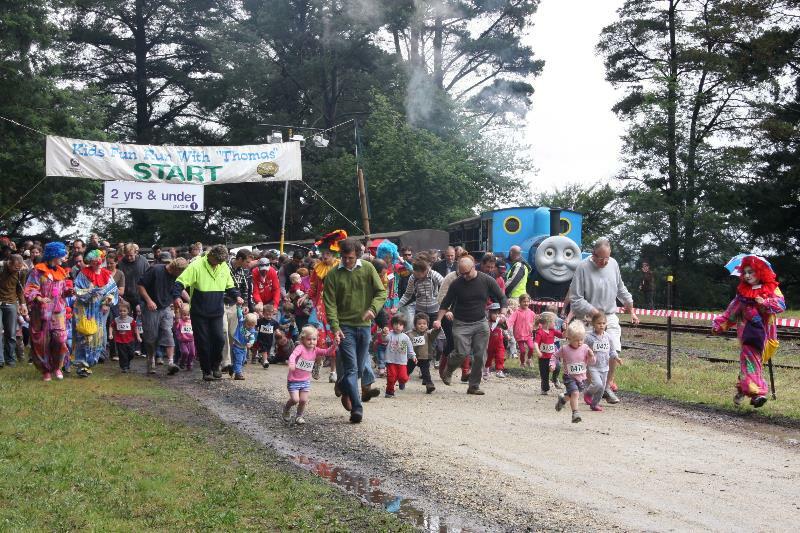 In particular the event would not exist if it were not for the generous support given by the Puffing Billy Railway, which donates the trains, staff and infrastructure for the day. 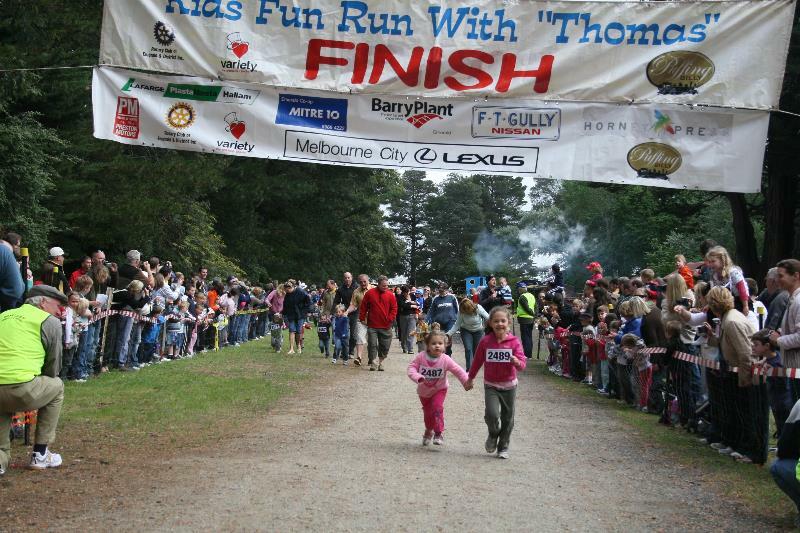 Our major sponsors for Kids Fun Run with Thomas 2018 are: Ferntree Gully Motor Group, The Wholesome Food Company, Emerald Mitre 10, Emerald Barry Plant and Lightning Press. The support of these fantastic sponsors ensures that the event continues to meet its goal of ‘Kids Helping Kids’. Thanks to everyone who supported us this year and we hope to see you all again for Kids Fun Run with Thomas 2019! 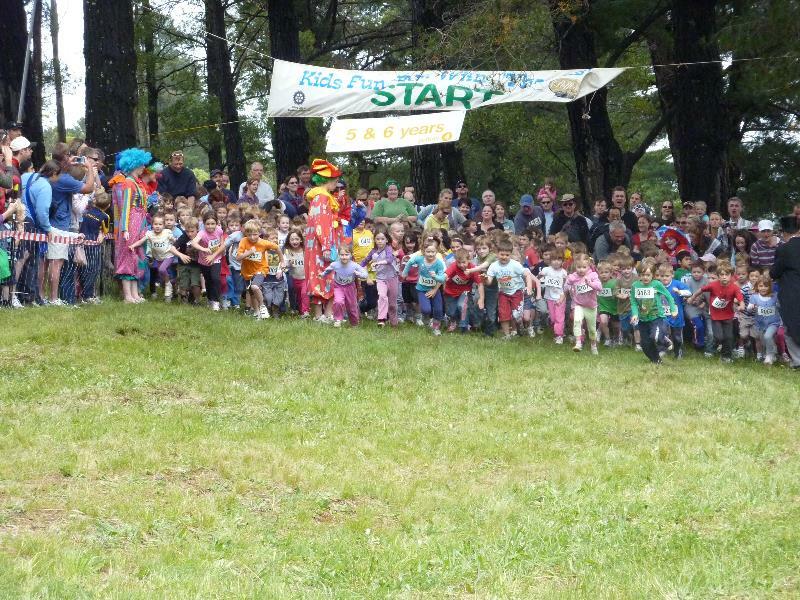 The inaugural Kids Fun Run with Thomas was held in October 2002. The annual event has grown to become the signature fundraiser for the Rotary Club of Emerald & District Inc. raising over $621,000 since its inception. In keeping with the Fun Run’s theme of ‘Kids Helping Kids’, all of the money raised has been donated to projects supporting and assisting children. 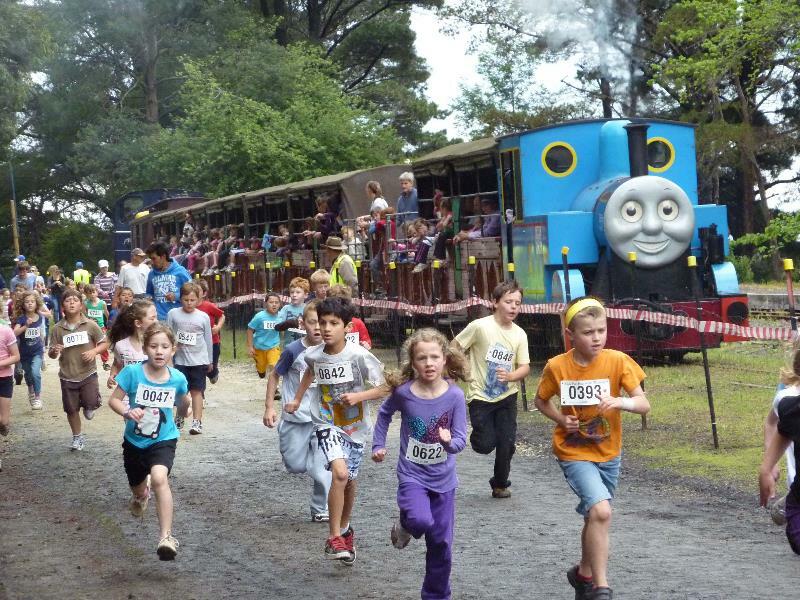 The Fun Run is structured around 5 events, where kids aged 3 to 8 years, run against Thomas the Tank Engine, and a 6th event sees 9 to 12 year olds running against Puffing Billy. 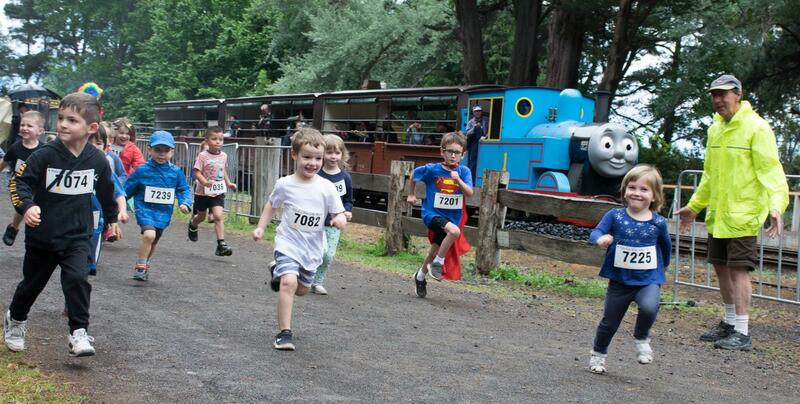 From the beginning, the Kids Fun Run with Thomas was seen to be multi faceted. It was viewed as not only a fund raising event, but also a community service event. 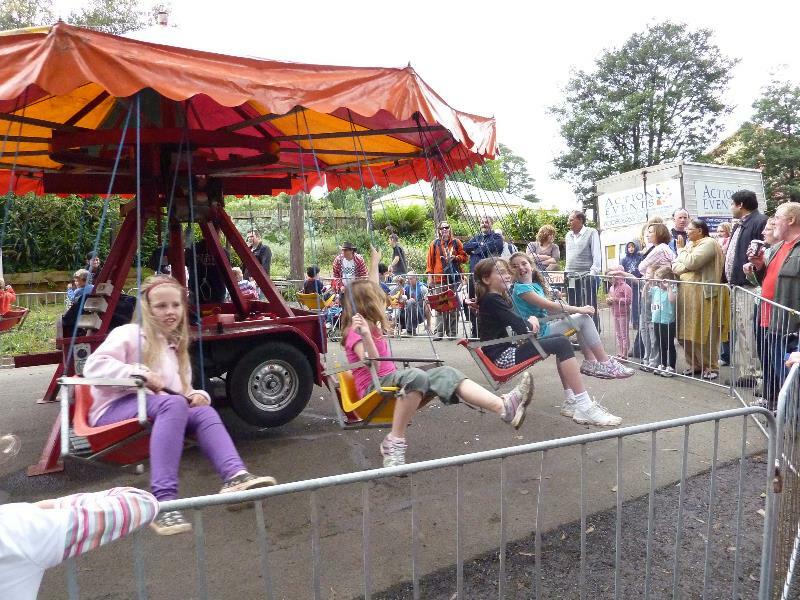 With entertainment in the park, it has grown to be a ‘Family Fun Day’, and offers local groups the opportunity to conduct their own fundraising and promotes the township of Gembrook. 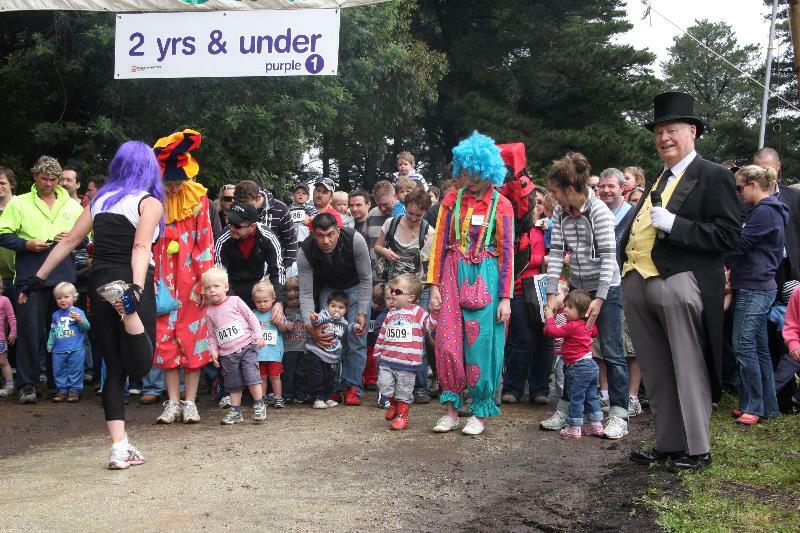 In recognition of the level of success that the event has enjoyed, in 2010 the ‘Kids Fun Run with Thomas’ was awarded the Cardinia Shire ‘Community Projects Award’ and in 2011 was awarded the Rotary District 9810 ‘Community Service Award’. Rotary International Awarded the Club with a Significant Achievement Award for the event in 2015.